1. Why would you want to do this? 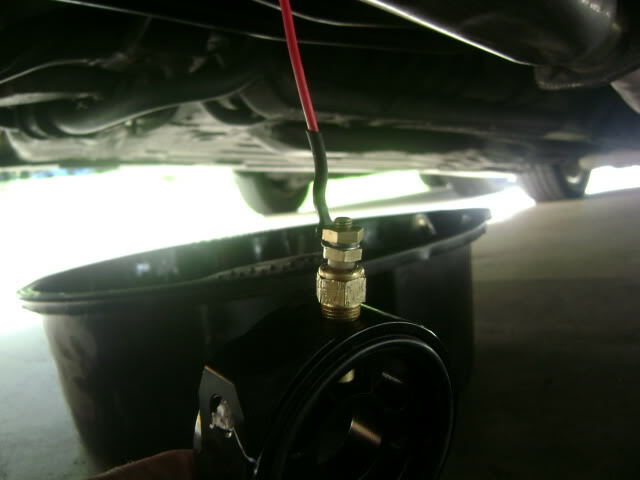 To be able to install an Oil temp and/or pressure sensor. To be able to install an oil feed line for a turbo system. 2. How long does this take? ~1 hour, taking your time. Nothing really. If you just drove the car recently, then the oil will be hot. Wait about 2 hours for the oil to cool completely. 17mm wrench to remove oil drain bolt. Jack up vehicle. Always use jack stands. 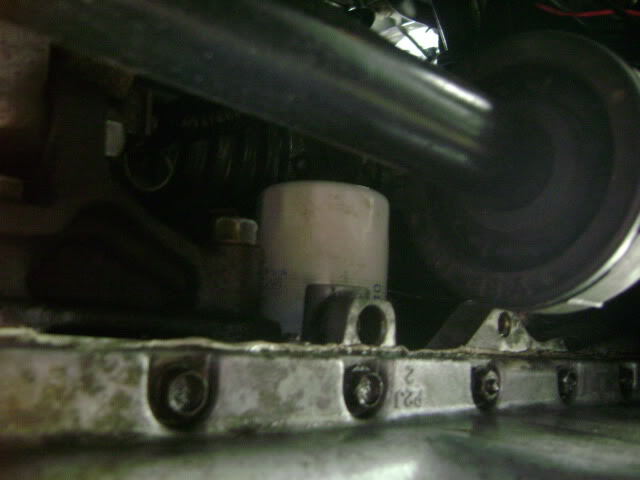 Crawl under vehicle and remove oil drain plug to allow oil to drain into pan. Re-install oil drain plug once all oil has been drained. Locate Oil filter on your vehicle and remove. 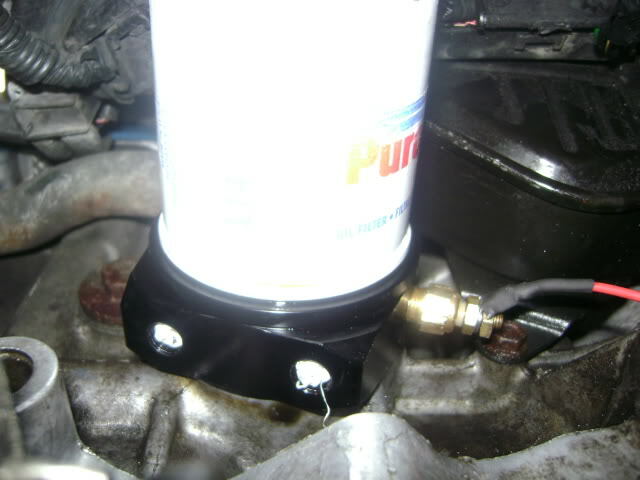 Install any and all sensor senders or oil lines onto the Oil sandwich plate prior to installing plate onto the engine. I have installed an Oil temp sensor here. Be sure to tighten all parts of the Sandwich Plate prior to installing. Choose the correct adaptor by threading the female end onto your engine. If two or more of the adaptors fit onto the engine, thread the adaptors into the oil filter to determine which adaptor is to be used. Slip Oil Sandwich Plate onto the engine. Be sure to have the rubber O-ring on the sandwich plate against the engine. Slide center bolt through the middle of the Oil Sandwich Plate and thread onto the engine. Be sure to move wiring or oil lines as needed. Torque center bolt to 30 ft lbs. 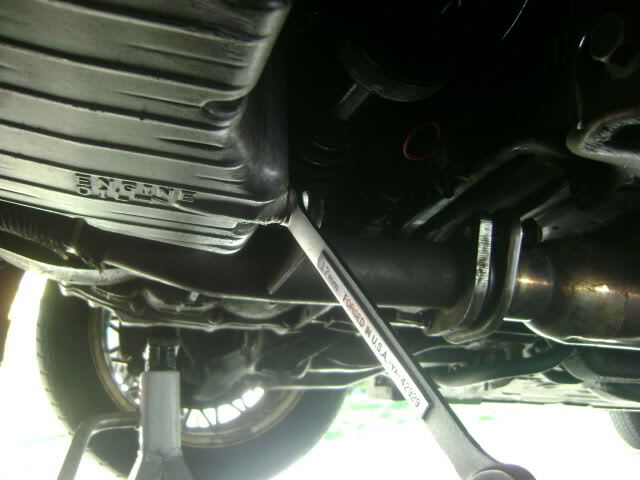 If a torque wrench is not available, may sure the center bolt is nice and tight. 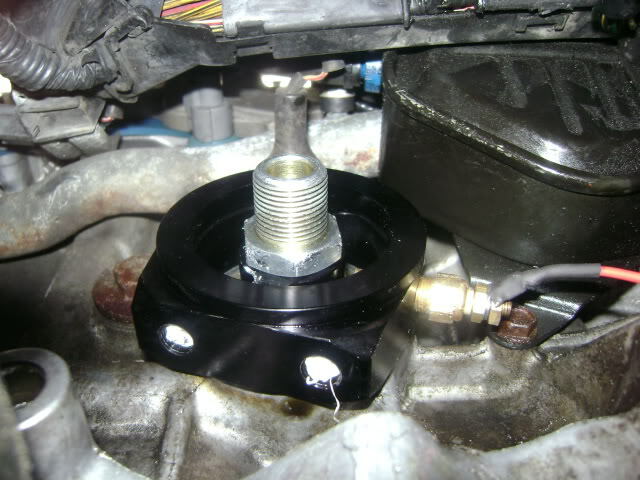 Install replacement oil filter onto center bolt and tighten. Fill engine with replacement oil. Start vehicle and check for leaks. If leaks are present, remove oil sandwich plate and confirm that everything has been installed correctly. With every oil change, be sure to re-torque the Oil Sandwich Plate center bolt as removing the oil filter may loosen it over time. Again, if no torque wrench is available, make sure the center bolt is tight. Last edited by cvcrcr99; 09-15-2014 at 08:06 AM. Need help with " Oil Filter Sandwich Adapter"